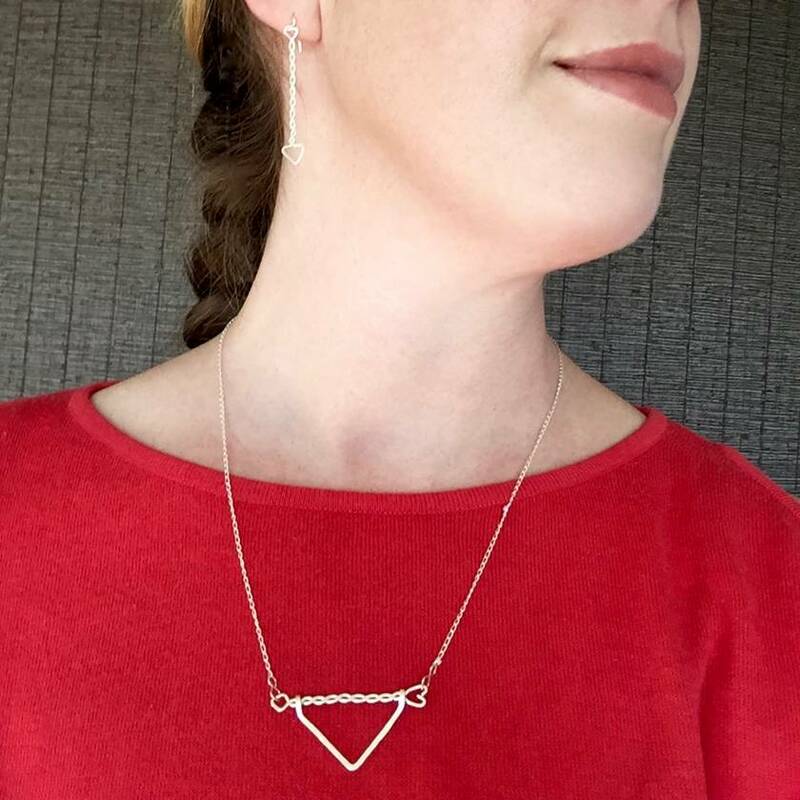 This simple, yet stunning chevron triangle eco-necklace is made from 100% recycled Sterling Silver wires and hammer hardened to give texture and shine, making it a contemporary and sleek addition to your accessory wardrobe. 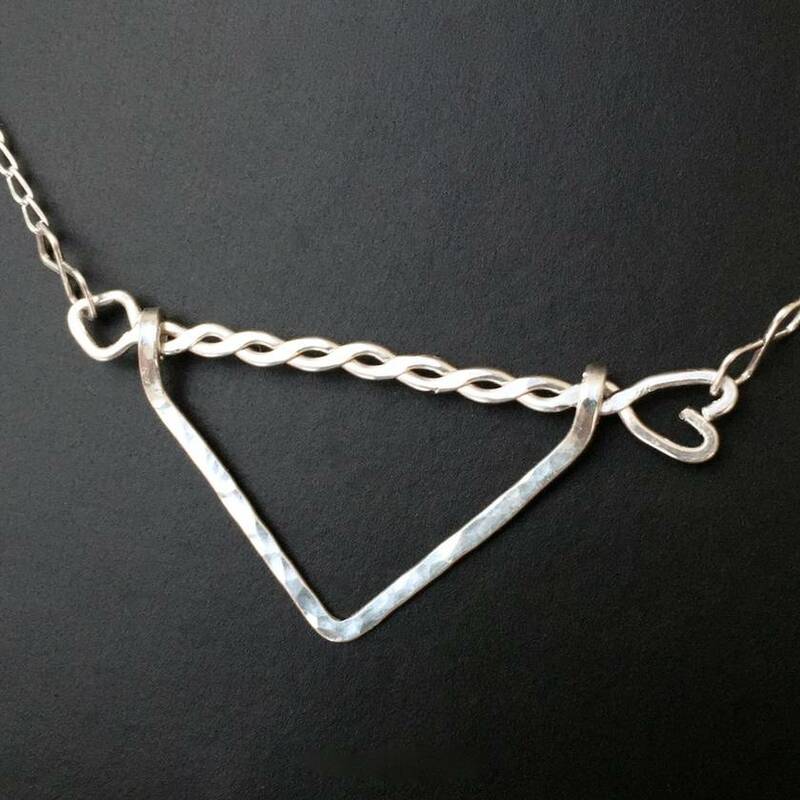 23cm (9 inches) of Sterling Silver chain either side attach to a silver plated magnetic clasp at the back, making this necklace very easy to put on - no fiddly clasps to deal with! The necklace measures 54.5cm (21.5 inches) in total length. Please allow 1-3 working days from order to shipping for me to hand-craft your jewellery. Please do take care when putting clothing on or off, as wires can easily get caught and be pulled out of shape. Definitely best to leave adding your gorgeous jewellery until the end - as a finishing touch. 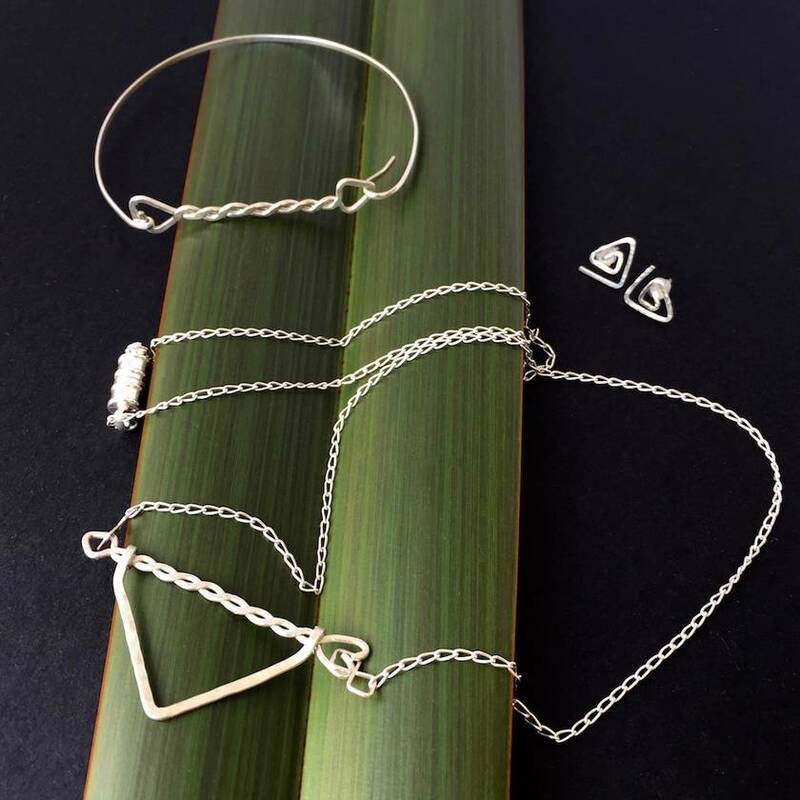 All purchases from Curlicue NZ Jewellery come lovingly gift wrapped and packaged in a fully recyclable gift box (that you will hopefully keep it in) - all ready for a special gift for someone or as a treat for yourself. If your jewellery purchase is a special gift for someone - check out my premium gift wrapping option. This includes the full gift wrapping service including free handmade card and your gift is placed within a small kete (Maori for woven flax bag) - I can even directly send the item to the recipient! Please let me know at checkout which card you would like, and what your message is.